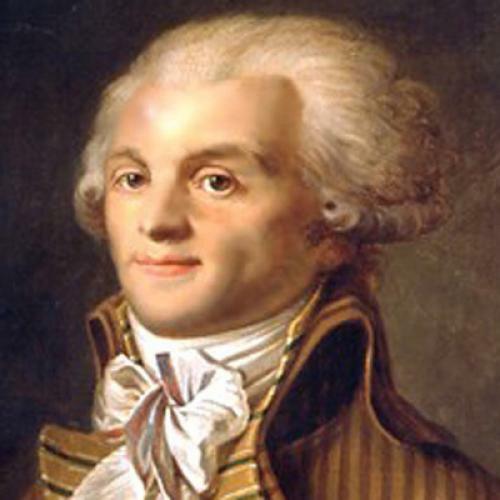 FOR A MAN often vilified as one of the greatest monsters in European history, Maximilien Robespierre lived the first five-sixths of his life in remarkably conventional fashion. As an earnest, prizewinning scholarship boy, and then an ambitious young provincial lawyer in late eighteenth-century France, he gave few hints that he would soon become the major figure in a revolutionary Reign of Terror. His early life did have its share of destabilizing tragedies: the death of his mother when he was six, followed by his father’s effective abandonment of the family. But whatever demons these events engendered manifested themselves mostly in a ferocious work ethic, personal rigidity, and quite possibly a severe case of sexual repression. By the time he was thirty, in 1788, Robespierre was heading smoothly towards a future as a lonely, irritable pillar of his small town bar association. He gained his opportunity in 1793-94, after successive efforts to end the Revolution and establish a stable new constitutional regime had failed. Instead, France’s new republican regime seemed to teeter on the edge of catastrophe, threatened by an armed coalition of European powers, and a series of dangerous domestic rebellions. Under these conditions, power passed increasingly into the hands of a dictatorial “Committee of Public Safety” that claimed sweeping emergency power. Tens of thousands of political opponents were executed, and many more perished in the repression of the provincial uprisings. Christian worship was suppressed, and utopian projects introduced for making the French, in Robespierre’s own words, into “a new people.” Robespierre himself virtually invented a new, deist religion for France: the Cult of the Supreme Being. He never held the dictatorial power his enemies attributed to him, but he did the most of anyone to set the Terror in motion, and after the autumn of 1793 he fell into the grip of something approaching paranoia. As Peter McPhee puts it in this new biography: “Robespierre’s mental universe was crowded with unrelenting conspiracies.” By mid-summer 1794, enough members of the National Convention feared for their lives to stage a coup against him and his allies. From the crest of the revolutionary movement, he was swept under and crushed, dying on the guillotine to which he had sent so many of his enemies. Robespierre preaches, Robespierre censures, he is furious, grave, melancholy, shamming exaltation, logical in his thoughts and conduct; he thunders against the rich and the great; he lives frugally and feels no physical needs; he has but a single mission, which is to speak and he speaks almost all the time … He has all the characteristics, not of a religious leader, but of the leader of a sect; he has built up for himself a reputation for austerity which borders on sainthood … Robespierre is a priest and will never be anything else. But as the great historian François Furet perceptively observed, the best way of all to understand Robespierre may simply be as a pure, unalloyed conductor of revolutionary ideology. In that case, what matters is not so much to understand the man himself but the Revolution that spoke through him. Peter McPhee, a distinguished Australian social historian, has chosen very much the opposite path in this new biography, and dwells heavily on the pre-Revolutionary life and career. Robespierre’s upbringing in a broken family led directly, McPhee argues, to a later devotion to the rights of children and education reform, and from there to a broader concern with social improvement. His experience as a scholarship boy in a northern province known for sharp social divisions instilled a radical sense of social justice. McPhee highlights Robespierre’s close ties to his sisters, and to a select number of friends, and so he rejects the stereotype of “the emotionally stunted, rigidly puritanical and icily cruel monster of history and literature.” As for the delirium of Robespierre’s final months, McPhee puts more stress than previous biographers on the man’s sharply deteriorating physical health. Robespierre routinely worked from dawn to past midnight, complained incessantly of exhaustion and fevers, and spent several crucial weeks in the spring of 1794 confined to his bed. As Colin Jones nicely puts it in the book’s cover blurb, “Robespierre emerges less as the man who ruined the Revolution than as a man the Revolution ruined.” In short, McPhee tries to sketch a much more human and sympathetic Robespierre than the one who appears in most history books. It makes for an interesting exercise, and the book has much to be said for it. It is a fine piece of work. McPhee has a sure command of the period, has mastered the voluminous sources on Robespierre, and writes a robust, clean prose. And he practices a virtue that has become all too rare among present-day biographers: concision. (Among current studies of the American Founders, a book this length would most likely be “Part One of Six.”) McPhee is also quite right to point out that Robespierre was in no sense a pathological freak. He was perfectly capable of ordinary human emotions, relationships, even passions. In our country we wish to substitute morality for egoism, honesty for love of honor, principles for conventions, duties for decorum, the empire of reason for the tyranny of fashion, the fear of vice for the dread of unimportance. We want to substitute pride for insolence, magnanimity for vanity, the love of glory for the love of gold. The passage directly echoes one of the most famous pages in Rousseau’s Social Contract, and here we come to another remarkable quality: Robespierre’s ability to cast his every opinion as faithful to the spirit of the thinker so many of the revolutionary generation worshipped as a virtual deity. Robespierre in fact felt a particularly intense bond of identification with Rousseau, and McPhee might have done more to explore this crucial aspect of his personality: the kinship felt by one awkward, intense man, son of a mother who died in his early childhood, and a of distant father, for another. But above all, McPhee does not do enough with Furet’s crucial insight into Robespierre as a conductor of revolutionary ideology—and therefore, with the French Revolution itself. It is worth stressing here just how different the French Revolutionary leadership was from the leadership of most revolutions. Figures such as Robespierre, Danton, Sieyès, or Saint-Just did not occupy positions of political prominence before the Revolution, as many of the American revolutionaries had done. They had not fought elections or led political parties. They did not spend years in struggle or exile, like Lenin or Mao, dreaming of what they would do once they came to power. In a mere blink of time, they hurtled from banal obscurity to world-historical importance, and so it is perhaps fair to say that the Revolution made them more than they made the Revolution. David A. Bell is a contributing editor for The New Republic and also teaches French history at Princeton.